Irritable bowel syndrome (IBS) is considered a functional gastrointestinal disorder. The Rome Foundation defines IBS as when a person has chronic abdominal pain at least one day per week in the last three months combined with at least two of the following: abdominal pain related to having a bowel movement; abdominal pain onset is associated with change in stool frequency; and/or abdominal pain onset is associated with change in stool form. The National Institutes of Health (NIH) reports that in 2004 there were 3 million ambulatory care visits with IBS noted as a diagnosis, and slightly more than half were first-listed diagnoses1. This disorder is estimated to affect 11-22% of the world’s population2. IBS is an incredibly common disorder and the demand for improved treatment options to treat this dysfunction is great. In order to understand how to treat IBS, we must first understand how cognitive and behavioral factors can impact gastrointestinal health. 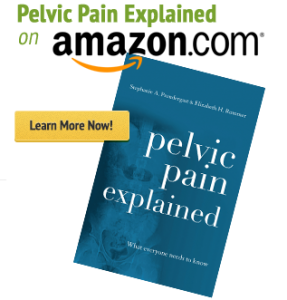 The Brain Below: The Role Your Gut May Play in Pelvic Pain. Most conventional approaches to treatment for IBS attempt to make changes at the level of the gut, for example, using pharmaceuticals and making diet alterations. These approaches are largely symptom based and are missing a key component in addressing this dysfunction by not including behavioral treatments. 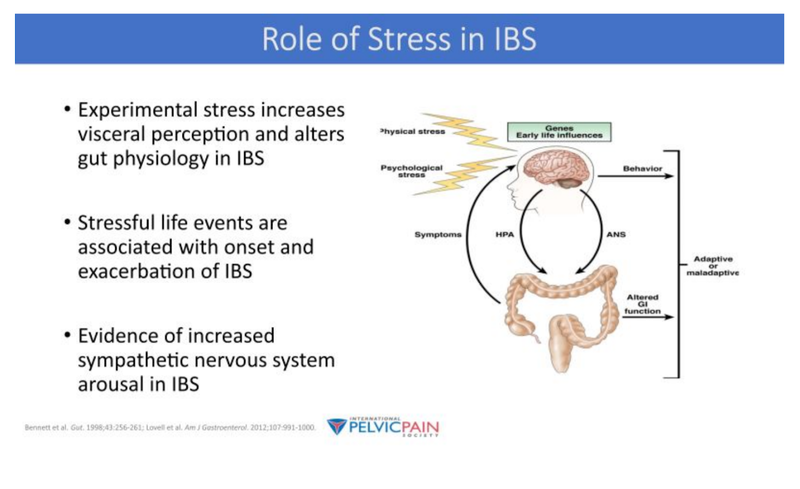 Because IBS is considered a functional GI disorder, as opposed to a structural disorder, emerging treatments have begun to include more practices that target this BGA to break the cycle of stress and symptoms by using behavioral therapies. Treatment for IBS requires a multifaceted approach including behavioral therapies such as CBT and/or hypnosis. Traditional treatments such as pharmacological management and dietary changes are largely symptom based and do not do enough to affect the Brain-Gut Axis. Many patients will benefit from the addition of these alternative treatment methods to best reduce a patient’s symptoms and improve quality of life. 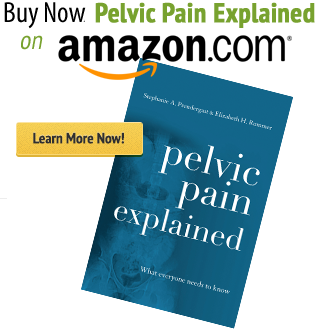 Additional information on IBS and hypnosis, as well as resources for how to find providers who specialize in this can be found at ibshypnosis.com. To learn more about PHRC and get in touch with a provider who can help you tackle IBS check out our website. Everhart JE. Functional Intestinal Disorders. Everhart JE, editor. The burden of digestive diseases in the United States. US Department of Health and Human Services, Public Health Service, National Institutes of Health, National Institute of Diabetes and Digestive and Kidney Diseases. Washington, DC: US Government Printing Office, 2008; NIH Publication No. 09-6443 [pp. 77-87]. Aziz et al, AM J Gastroenterol. 2018;113:86-96:Russo et al., J Clin Gastroenterol 1999; 29:339-43; National Institutes of Health. The burden of digestive diseases in the United States, 09-6443; January 2010.